Plaskolite Clear Double Acrylic Sheet 48 in. W x 96 in. L x .220 in. Plaskolite Clear Single Acrylic Sheet 36 in. W x 72 in. L x .100 in. Plaskolite Single Light Panel 48 in. W x 72 in. L x .100 in. Plaskolite Clear Single Acrylic Sheet 48 in. W x 96 in. L x .100 in. Plaskolite Single Corrugated Plastic Sheet 24 in. W x 48 in. L x .157 in. Erias Mirror Single Mirror Tile 48 in. W x 36 in. L x 1/8 in. Plaskolite Clear Single Acrylic Sheet 24 in. W x 36 in. L x .100 in. Plaskolite Clear Single Acrylic Sheet 36 in. W x 36 in. L x .100 in. Plaskolite Clear Single Acrylic Sheet 32 in. W x 40 in. L x .100 in. Plaskolite Clear Single Acrylic Sheet 24 in. W x 48 in. L x .100 in. Plaskolite Clear Single Acrylic Sheet 24 in. W x 30 in. L x .100 in. Plaskolite Single Acrylic Sheet 36 in. W x 48 in. L x .100 in. Plaskolite Clear Double Acrylic Sheet 48 in. W x 96 in. L x .118 in. Plaskolite Clear Single Acrylic Sheet 18 in. W x 24 in. L x .100 in. Plaskolite Clear Single Acrylic Sheet 30 in. W x 60 in. L x .100 in. Plaskolite Clear Single Acrylic Sheet 30 in. W x 34 in. L x .100 in. Plaskolite Clear Double Acrylic Sheet 30 in. W x 60 in. L x .118 in. Plaskolite Clear Single Acrylic Sheet 38 in. W x 50 in. L x .100 in. Plaskolite Clear Single Acrylic Sheet 32 in. W x 42 in. L x .100 in. Plaskolite OPTIX Clear Single Acrylic Sheet 20 in. W x 32 in. L x .100 in. Plaskolite Clear Single Acrylic Sheet 24 in. W x 28 in. L x .100 in. Plaskolite Clear Single Acrylic Sheet 28 in. W x 32 in. L x .100 in. Plaskolite Single Corrugated Plastic Sheet 18 in. W x 24 in. L x .157 in. Plaskolite Clear Single Acrylic Sheet 28 in. W x 30 in. L x .100 in. Plaskolite Clear Single Acrylic Sheet 30 in. W x 36 in. L x .100 in. Plaskolite Clear Single Acrylic Sheet 32 in. W x 44 in. L x .100 in. Plaskolite Clear Single Acrylic Sheet 26 in. W x 28 in. L x .100 in. Acrylic sheets, also referred to as “plexiglass” or “Plexiglas”, are often used as an alternative to glass sheeting. Plexiglass sheets offer similar transparency to glass, but they are more durable and relatively shatter-proof. Acrylic sheeting can be used to replace window panes, protect surfaces or even hold items as shelving. Since plexiglass is typically sold in predetermined sizes, consider everything you can use this material for and then purchase the amount you need. You can always have the sheets cut to size. 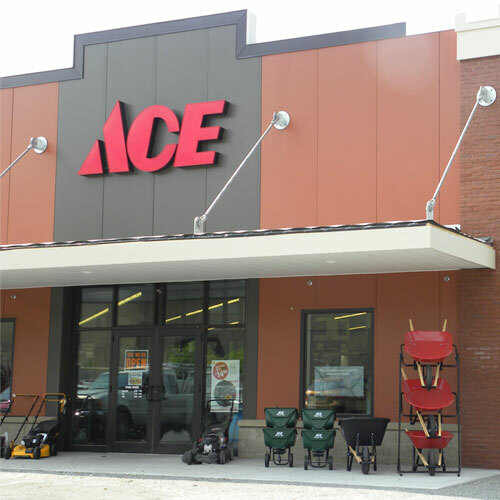 Check out your local Ace for more acrylic sheeting options and cutting services.